Registration (Masonic Auditorium) 11:00 a.m. - 12:00 p.m. Lunch (Masonic Auditorium) 12:00 p.m. - 1:00 p.m.
Open Meeting 1:30 p.m. - 3:30 p.m. This year, our Master, MW Bro. Dale Sandstrom (ND), will continue with the open meeting ceremony. MW Bro. Dale Sandstrom would like to invite our Ladies, family members and friends to attend our annual meeting. MW Bro. Sandstrom has arranged for M. W. Bro. Jim Savaloja to be the speaker for this afternoon. You must have your passports to cross the U.S. / Canada border. There is a $20.00 entry fee to the International Peace Gardens. 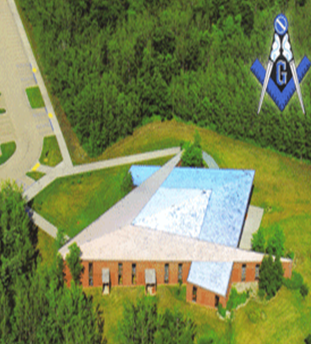 The International Peace Garden Lodge of Freemasons was formed in 1993 with Warrants granted by the Grand Lodges of Manitoba, North Dakota and Minnesota. The Grand Lodge of Saskatchewan became a chartering Grand Lodge in 2000. Its purpose is "to promote and enhance fraternal relations among Freemasons of North America and to assist in the expansion and maintenance of the International Peace Garden." 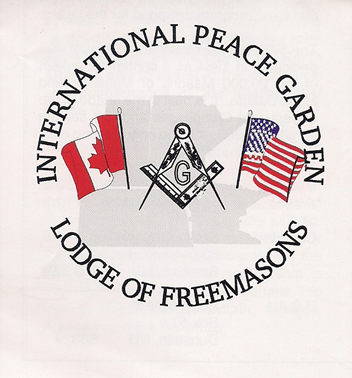 It meets once a year, Membership in the International Peace Garden Lodge of Freemasons is open to any Master Mason in good standing for a one-time fee of $50. The next meeting is scheduled for Saturday, Aug. 12, 2017, lunch is at 12pm at the Masonic Auditorium with a public meeting to follow in the Burdick Center for the Performing Arts. The International Peace Garden was established as a living symbol and tribute to the historic fact that Canada and the United States of America have been at peace with each other now for more than 200 years. A cairn, built of field stones gathered from nearby fields by students from both countries and situated right on the 49th parallel, to mark the creation of the International Peace Garden, took place on July 14th, 1932. The cairn reads: TO GOD IN HIS GLORY, we two nations dedicate this garden and pledge ourselves that as long as men shall live, we will not take up arms against one another. The park is located north of Dunseith, North Dakota, at the northern terminus of U.S. Highway 281, or it is south of Boissevain, Manitoba, at the southern terminus of Manitoba Provincial Highway 10. Visitors from either country can enter the park via US 281 or MB 10, without passing through customs, and may move throughout the park (crossing the international boundary at will) without restriction. However, customs stations for Canada and the U.S. are located on the roads just north and south (respectively) of the access drives for the garden, requiring all visitors – including those returning to the country from which they arrived – to go through the immigration procedures of their destination country upon leaving the garden.